They say you choose your brand of vehicles by what you old man drove and his old man drove. In my case, my whole immediate family owns Fords including the F150 my dad owns that was my grandpa’s. As you can see in the background of the picture, that 1970 Mach 1 Mustang was also my dad’s. While my dad has my grandpa’s truck and uses it on a regular basis, his daily driver is actually a 2006 Focus. 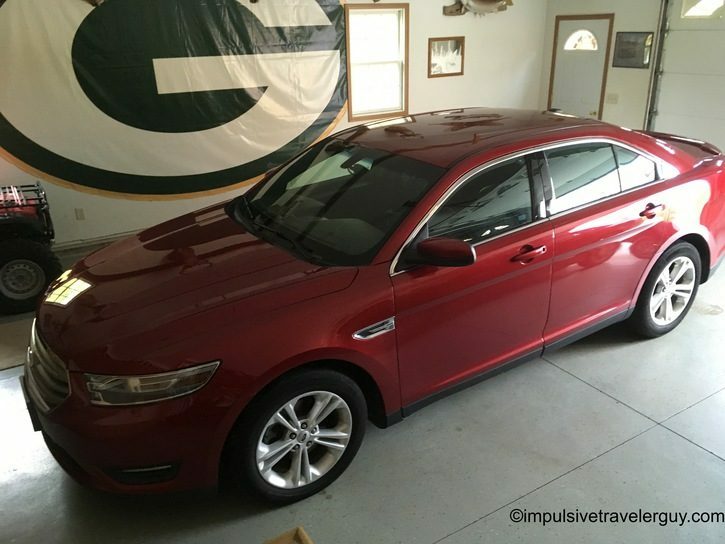 My mom drives a 2013 Taurus. 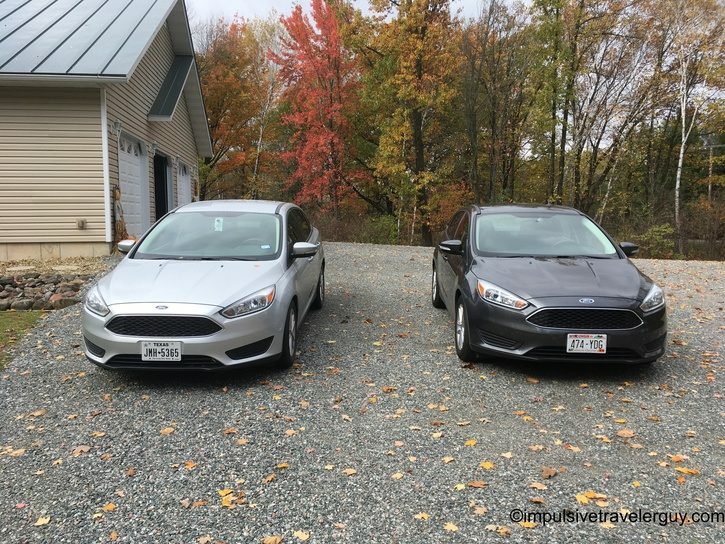 I decided to take a picture with my 2017 Focus next to my brother’s 2015 Focus. He previously had a 2002 Focus. I actually own 2 Focuses. One is a 2007 and the other is a 2017, which you see above. Both of my Focuses I bought brand new and the picture below is at the dealership the night I drove off with my 2017. 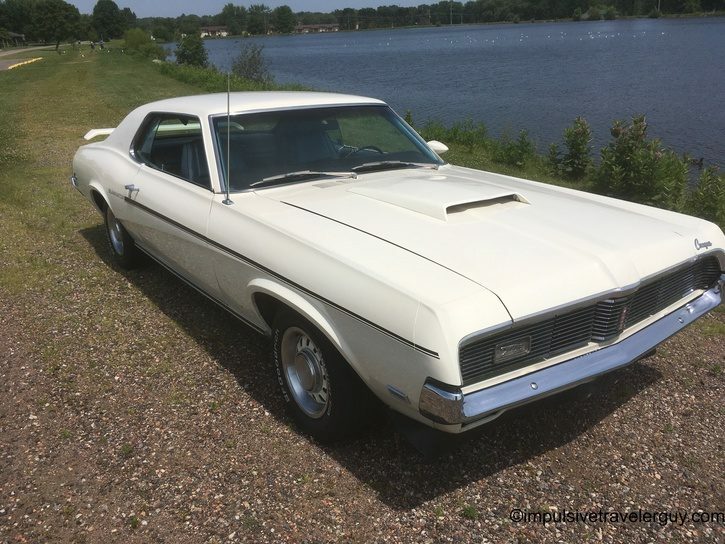 My other Ford I own is a 1969 Mercury Cougar Eliminator. There were actually only 2250 of these made from the factory, so I’m glad to own a piece of rare history. 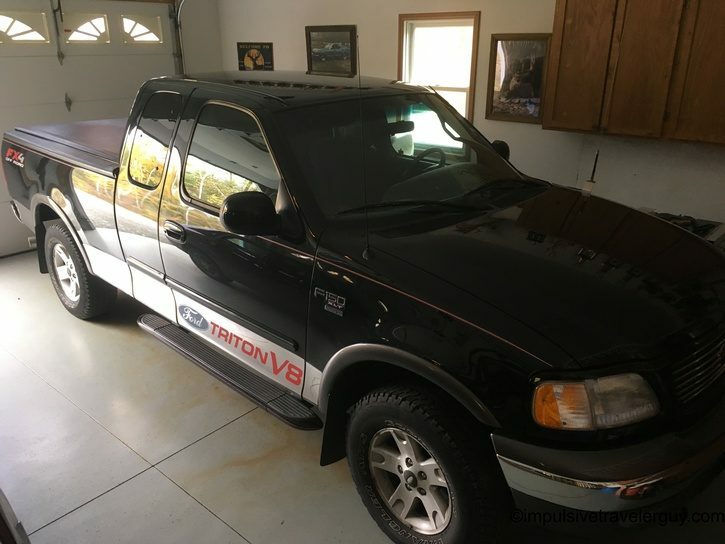 While your typically drive what your old man and his old man drove, I’ve actually found I don’t need my dad’s or grandpa’s experience to tell me that Ford is an amazing vehicle brand. My experiences alone have brought my loyalty to the brand. I bought my 2007 Focus brand new when I was 18. It got me through college, moving to Texas, grad school, and now a massive amount of road trips. I’ve taken it through blizzards in Canada, down logging trails in the Upper Peninsula of Michigan, and would run it for almost a day straight driving back and forth from Texas to Wisconsin. While the car is starting to show its age, especially considering the first 6 winters were in Wisconsin, the only time it has left me stranded is when the original alternator went out after 9 years and 247,000 miles. Beyond that, I still have the original clutch in it. I have had to replace a few suspension related parts, but actually still have the original front shocks. The e-brake had to be replaced, despite my efforts to fix it, but beyond that I’ve only had to replace a few minor things. Not bad for a car with over a quarter million miles! The only other major thing that I have to workaround is the HVAC box is stuck. This is a common issue on the Focus of those years and I can use a screwdriver to turn the heat on. The problem is, the heat is either on or off and pretty much on vent. That means in the winter, your face melts and you feet freeze. In the summer in Texas, it works perfectly fine with the AC and the winters aren’t cold enough to worry about having a bunch of heat. 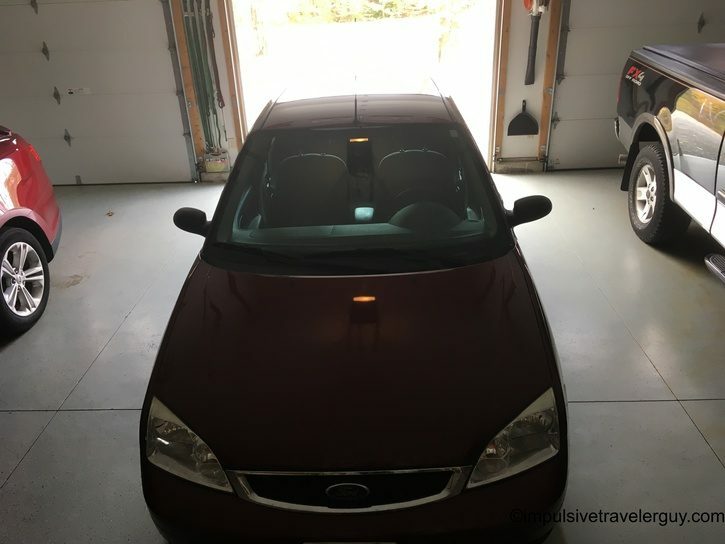 While the 2007 Focus has been very solid, the fact it’s up there in age, starting to rot out, and there are quirks with the heat, I wanted to get something more reliable for my road trips that literally take me to the ends of the United States and beyond. I want to start exploring a lot of more remote areas, especially in Canada. While AAA was worth its weight in gold and breaking down in the middle of nowhere Iowa was an inconvenience in the whole scheme of things, breaking down in rural Canada or desolate nowhere USA can be life threatening depending where you are. When the time was right, I decided to start looking for another car. I was originally going to get a Fiesta, but I got an offer I couldn’t refuse at Bluebonnet Motors in New Braunfels. 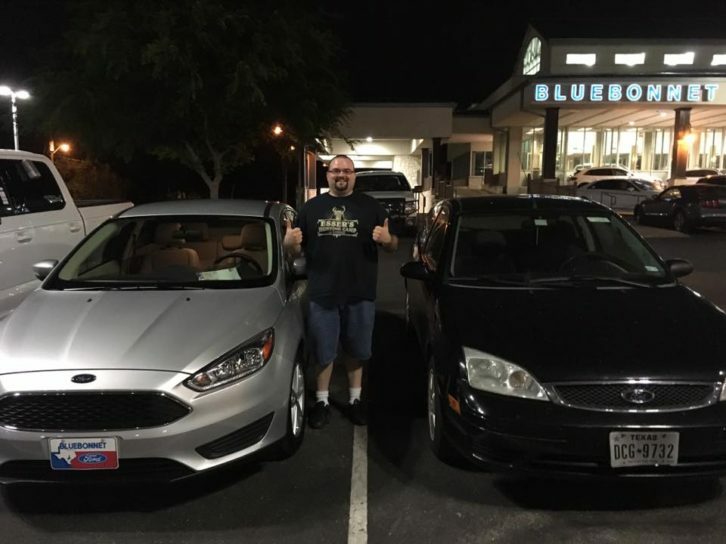 I was able to get another Focus SE (same as my 2007), but this time it had a little 3 banger 1.0 liter Ecoboost. On my maiden voyage with it, I was impressed. The more I drove the car, the more impressed I became. When I was in Canada, it easily switched over to metric and when I switched it back to imperial, I found I got over 50mpg! The car is the perfect road trip car and I couldn’t be happier with it. I still use my 2007 Focus as my daily driver. I figured I’d get a garage for the new Focus and keep the city miles off it it and keep the clutch as fresh as possible (I do like the 6 speed over the 5 speed). Those are the hardest miles from a wear and tear perspective and the 2007 Focus is still running so keep beating that while I preserve the new car. For the Cougar that stays up in Wisconsin. The roads are horrible in Texas and I don’t want to take any risks. I get get use out of all my Fords and so far they have served me well. Almost everyone I know has had insanely positive experiences with their Fords and I don’t see why I’d want to buy anything different. If you’re reading this Ford, keep up the good work. The Focus is a perfect road trip car. I’m a huge proponent of moving forward to cleaner energy so if you need a tester for the Focus EV, sign me up. If any other car manufacturer is reading this, I’ll keep an open mind enough if you say give me a car to beat the hell out of and want my opinion. Just remember, Ford has created an extremely high standard that is my measuring stick, so I could see things being interesting. To everyone else, no car manufacturer has actually sponsored me (I’m willing to talk). I’m just writing this from personal experience and will continue to post my adventurers that are powered by my Fords!